Hey, it’s my three R’s and it sounded cute; what more can I say about that title. Reminders are for my design team posts that will be coming up in May and my fabric book class that starts next Monday. Road trips are something I just love to do with my friend Cathy – we travel so well together. It is just a peaceful and enjoyable time when we hit the road together. And Red Lead…need I say more! If you haven’t been, make an effort to visit and have a lovely road trip! If you could see me now you’d be able to tell what I’ve been doing this week – I’m all a-glitter! 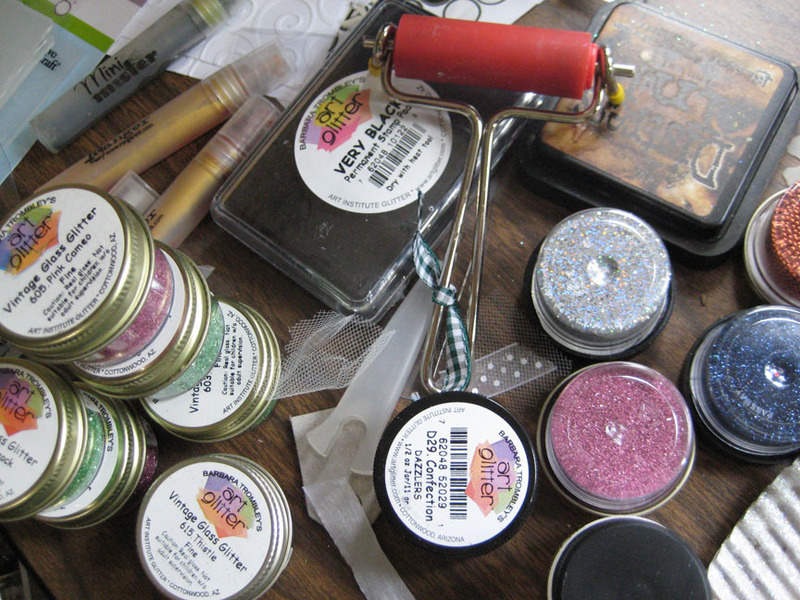 I’ve been having a great time creating with all my Art Glitter and I know you’re going to like my projects so watch for my posts here and at the Art Glitter blog starting in May. 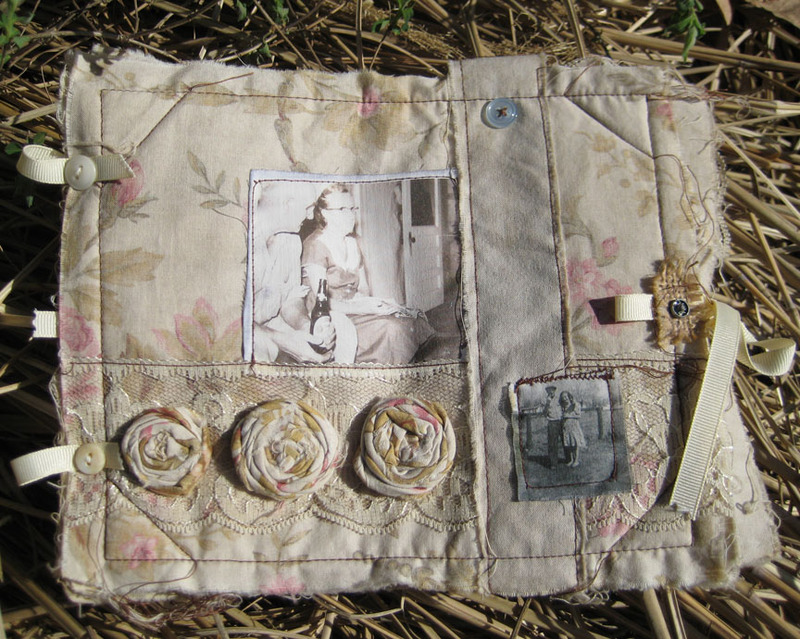 Wanted to remind everyone the fabric book class – Stitching a Sentimental Journey – is slated to begin at 6 p.m. Monday, April 30 at Monarch Quilts in Brighton. You’ll love learning just how easy you can turn fabric into a fabulous little memory book. Great gift for Mother’s Day! Class is broken into two segments and the second segment is Monday, May 7. Check out the description and necessary tools to bring (sewing machine will not be needed until second session May 7) at Monarch Quilts. Call the store to register. Playing a little catch-up and get-ahead this week before leaving tonight for Adventures in Stamping. It’s been a couple years or so since I’ve attended with my friend Cathy and I’m excited to be heading back there. Looking forward to my class with the Red Lead girls; trying out some new-to-me techniques for photo transfers. We’ll also be antiquing/junking while on the road – so much fun! I am quite excited! Thank you much! Have fun! I cannot wait to see your new creations. Thanks – we did! Can’t wait to share! What a pleasure to have a crafting friend you travel well with… I know just what you mean. Enjoy your road trip, Linda! Thanks Marjie, we had a wonderful time!